William (Bill) Ahern advises families and intermediaries on a wide range of private client related issues including tax, succession and legacy. Complex cross border issues are his speciality. Bill was admitted as a solicitor in Brisbane, in 1980, where he specialized in tax planning and tax litigation. In 1984, he acquired the only legal practice in Norfolk Island, a tax-free external territory of Australia. In 1987, Bill joined Hong Kong law firm Deacons to build its tax practice. He became a partner in 1990, following his admission as a solicitor in both Hong Kong and England & Wales. He remained there until 1994, when he returned to Australia. He maintained strong links with Hong Kong by representing a Jersey-based trust company in Asia, and through his continued representation of a number of Hong Kong-based clients. 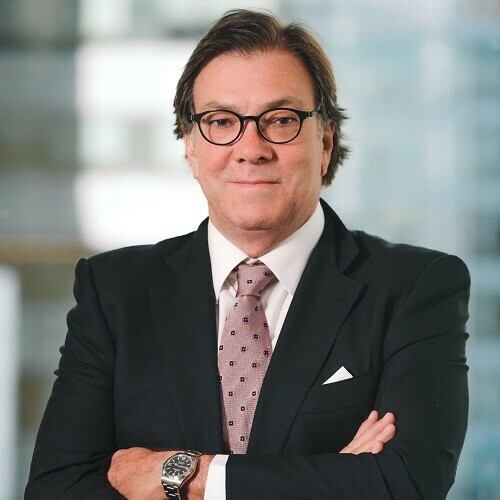 In early 1999, Bill returned to Hong Kong full-time as a Consultant to law firm Lea & White, to build on his wide experience in Hong Kong revenue law, trust law and regional tax planning, including offshore aspects of Australian tax law. In October 2000, he joined an international trust company in Hong Kong as Director, Trust & Legal Affairs. In December 2002, Bill joined HSBC Private Bank to head up Wealth & Tax Advisory Services Asia (WTASA); its tax and wealth structuring consultancy arm. In June 2008, Bill established his own consultancy, Family Capital Conservation, specializing in advising clients and institutions in multi-jurisdictional tax and succession planning and family governance. In February 2016, Bill established Ahern lawyers, which entered into a formal association with Haldanes in April 2017. Bill is a regular lecturer on the international private client conference circuit, a member of the STEP Worldwide Council Board of Directors and a member of the International Academy of Estate and Trust Law. Bill is a former chair of STEP Hong Kong, and a vice chair of STEP’s Public Policy Committee. He is the author of many published articles on private client issues (both law and policy), some of which are listed in the publications page of the Ahern Lawyers website (www.ahernlawyers.hk). Bill is serving as a panel member of the Anti-Money Laundering and Counter-Terrorist Financing Review Tribunal, which reviews any decision made by the Registrar of Companies in implementing the licensing and disciplinary regime for trust or company service providers, any decision made by the Commissioner of Customs and Excise on licensing matters in respect of money service operators, and specified decisions made by the Hong Kong Monetary Authority, the Securities and Futures Commission, the Insurance Authority and the Customs and Excise Department under the Anti-Money Laundering and Counter-Terrorist Financing Ordinance (Cap. 615).